We recently created a website for Mushroom Souffle, a social media training and management company owned by Sarah Fletcher. 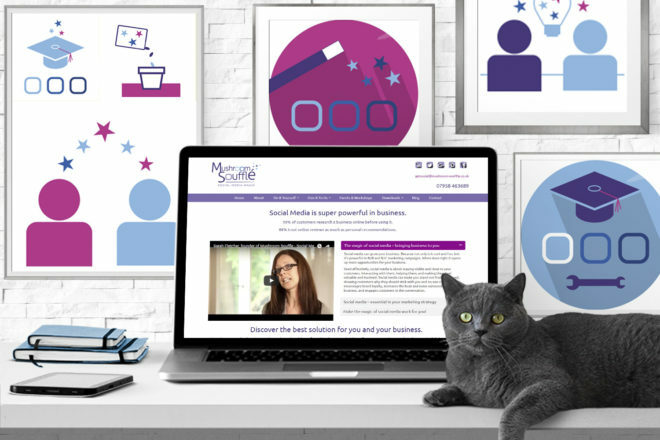 Sarah and her team can either do your social media for you or train you to effectively manage your own social media. Sarah also runs training sessions teaching how social media can be used for business. The site highlights the two sides of the business with ‘do it yourself’ or ‘give it to us’ and the various types of support packages that are available. The site also allows the user to download free guides on using social media as well as subscribe to a newsletter which also gives social media advice. In addition to having a regular website, the site had a bespoke theme in order to meet the specific requirements of the client.